If you grew up in the 1980s, then chances are you played with a Choro-Q, more popularly known as Penny Racers. In 2005, they made a comeback with more of the Japanese cars we dreamt of--Mitsubishi Lancer Evos, Subaru Impreza WRX STIs, Nissan Zs and GT-Rs, a string of classic Toyotas as well as Honda and Mazda sports cars. They were surprisingly short-lived, with stocks pulled out due to poor sales some five years later. 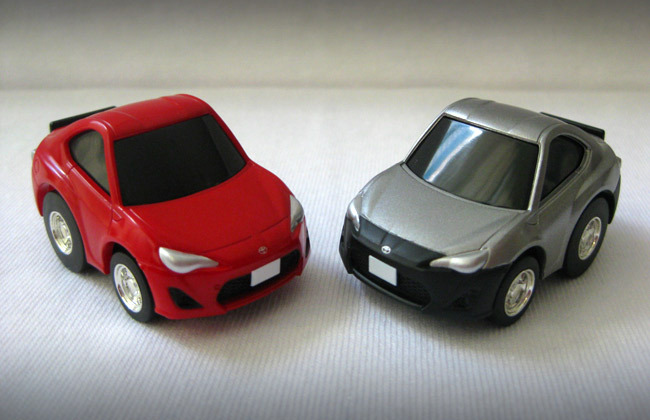 They're still not available, but look at what we stumbled upon: the Toyota 86. We've been scouring the Internet for this! They're available at Toy Town Glorietta for P750 each. It is expensive, considering they were P50 back in the mid-'80s and P130 the last time Choro-Qs were sold here. In Japan, the usual price range now is about P300 to P425. 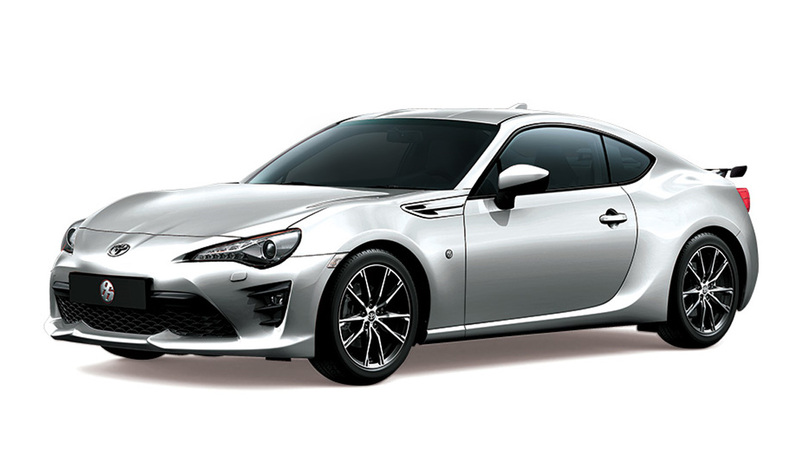 But that's not exactly the case with the Toyota 86 and the Subaru BRZ. On Amazon.co.jp, the orange 86 is priced between P330 and P400, the silver goes for P450, and the red skyrockets to P1,140 to P1,320 because it's the most popular choice. 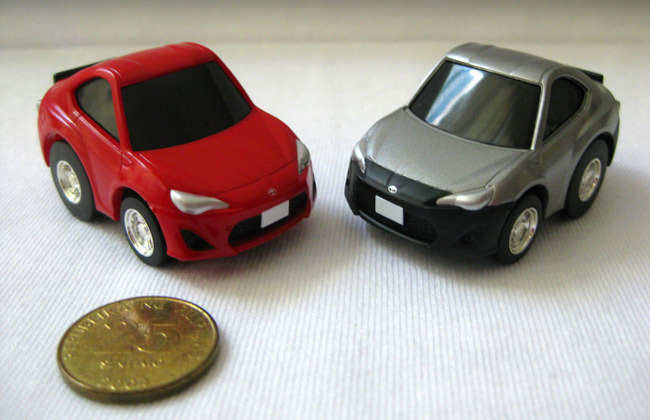 The blue Subaru BRZ is even more expensive, priced at P1,500. The white is also quite popular, ranging between P450 and P780, depending on the seller. The silver has a steady price of P425, while the black--whose fog lamps, side blinkers and taillights are more detailed along with the correct set of wheels--can be had for about P520. It's practically twice the price on Amazon.com. Both the orange and silver 86 colors go for P900, while the red reaches P2,340. 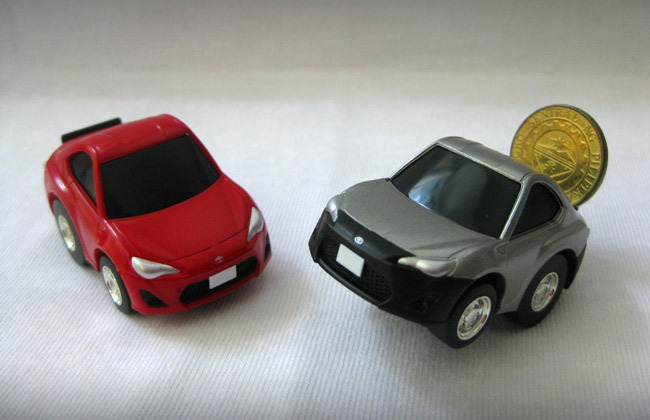 The blue BRZ, likewise, is more expensive, ranging between P2,475 and P2,565. The black goes for P1,125 and the white P945. The silver, meanwhile, has been out of stock. Most of the prices don't even include shipping fees yet; some are as expensive as the toy itself. 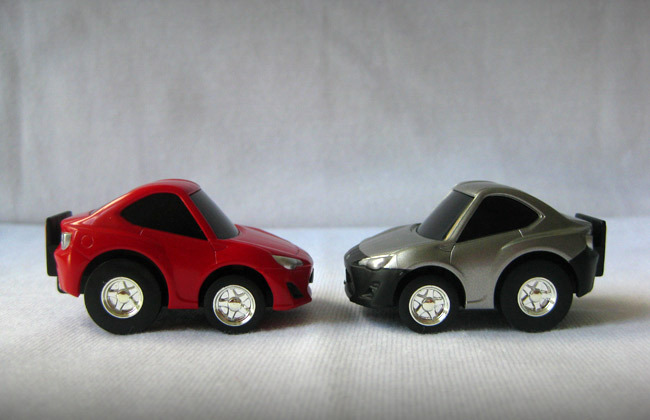 Considering the prices in Japan and the US, P750 is justifiable, particularly for the red 86. But the silver is also quite cool. 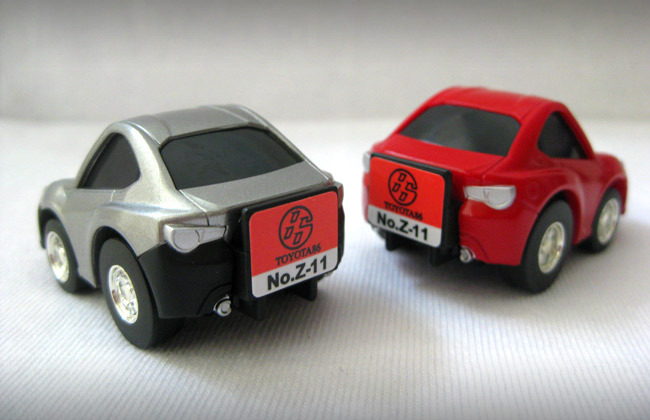 If you're a Choro-Q and Toyota 86 fan, you might as well get both--they're not easy to find. Better hurry to Toy Town Glorietta. The last time we checked last weekend, there were just 10 pieces left.